Their petals embody the sun and they smile upon me as I walk past their gaze. 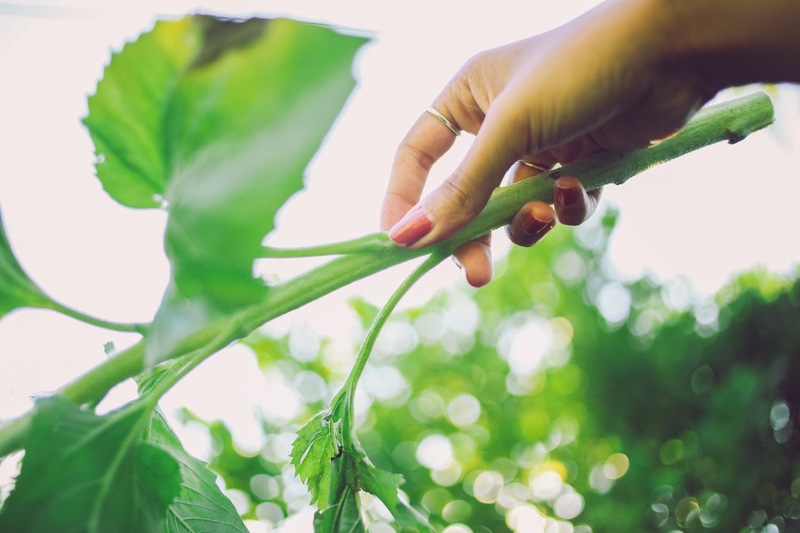 They stand tall, overlooking the world with positivity running through their stems. Their big leaves grasp hold of the life before them and take it up into the sky. They are my favourite and it is not hard to see why. They may not be the most delicate or beautiful but they have this energy that fills my body with warmth and joy and makes the corners of my eyes crease. They have saved me from dark places and have made me feel so loved. There's nothing more to say really. They are my perfect bloom. You are one beautiful lady! I love that first photo of you hiding behind the flowers, so cute! I was hoping to see sunflowers this floral Friday... I love them too. 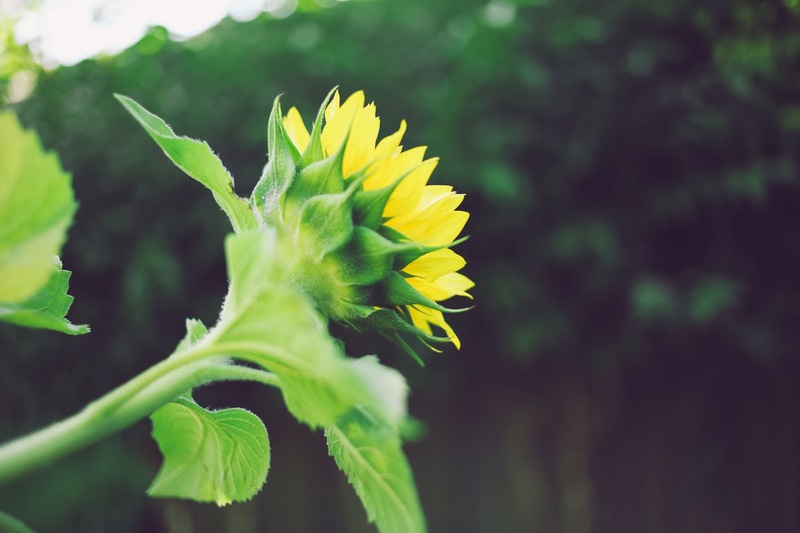 Such pretty photos, I was going to pick sunflowers because they are such a happy plant and probably my favourite flower! Sunflowers would have to be one of my favourite flowers! I love how they follow the sun! You are so cute! Sunflowers are my FAVORITE flowers. Mostly because they're my favorite color but also because they are guaranteed to instantly brighten your day. These photos just look so warm.. Here I am, buried under blankets because it's below freezing outside.. Spring, come sooner? Yellow is my second favourite colour and isn't it just the best! I don't want my summer to end but sadly it has and winter is slowly knocking on my doors. It's odd knowing that while I am starting to add on the layers, you are half way across the world taking them off. loved your comment on my blog today, girl! thanks so much! and aren't you just the CUTEST?! Ky! Thanks so much lovely. It's so wonderful to have you here. Your blog and your outlook on life has always been inspirational to me - never stop doing what you're doing. Beautiful photos and those flowers as so pretty !! It looks so nice and sunny where you are I can't wait for weather like that and to be able to enjoy the outdoors again! 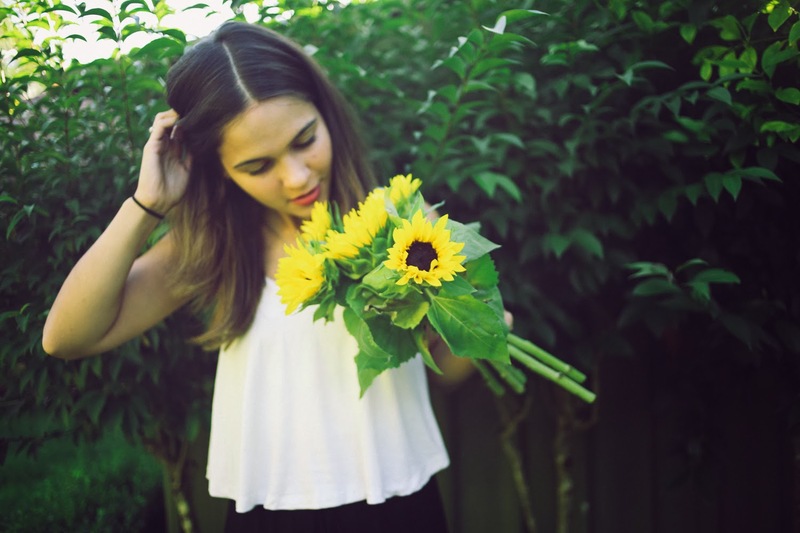 Sunflowers are my favourite =] HAPPY flowers !! Sun flowers were scary to me as a kid. The one I planted quickly grew taller than I was! so true! sunflowers always make me smile! they are the happiest flowers! What beautiful photos! And you have a lovely blog. Beautiful photography! 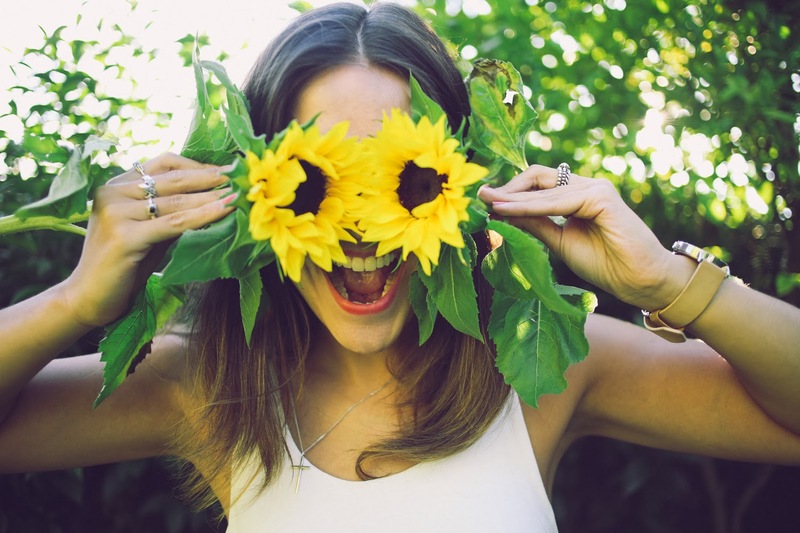 Your photo with the sunflowers as your eyes made me laugh :) - Sun flowers ARE just playful in their nature! Gorgeous photos! I absolutely love sunflowers. Sunflowers are beautiful, they are so strong and so bright I feel happy even by looking at them! 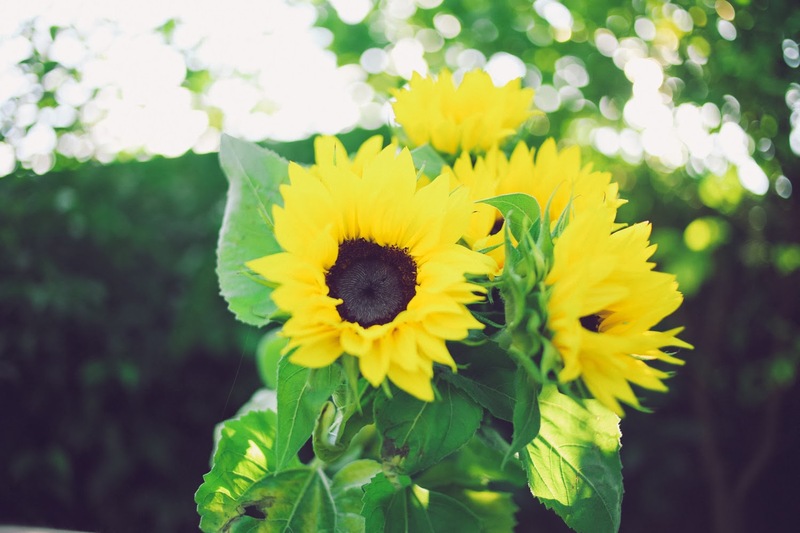 Lovely post and photos - sunflowers are like big balls of sunshine and happiness. I really like the idea of featuring plants and beautiful flowers in posts. 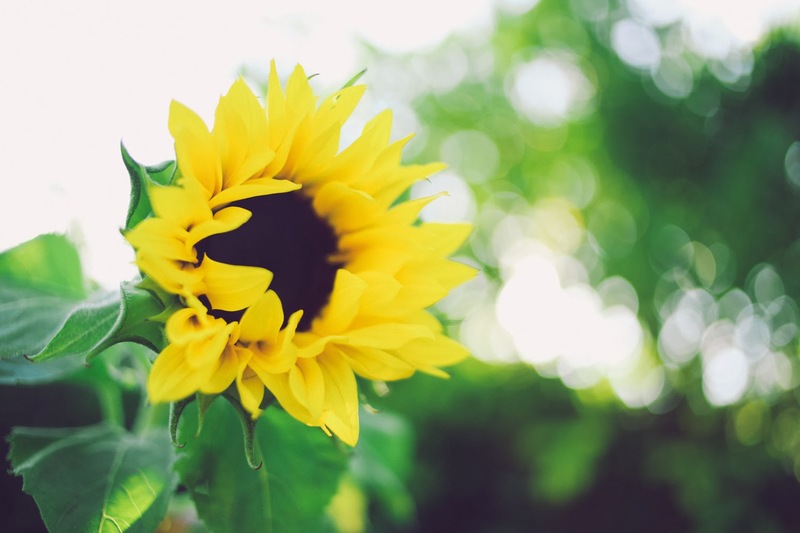 I'm trying to recall a poem that I once read about sunflowers that really struck me; the poem made them sound so beautiful and mysterious, much like how you describe them in your post. If I think of it, I'll be sure to reply later. 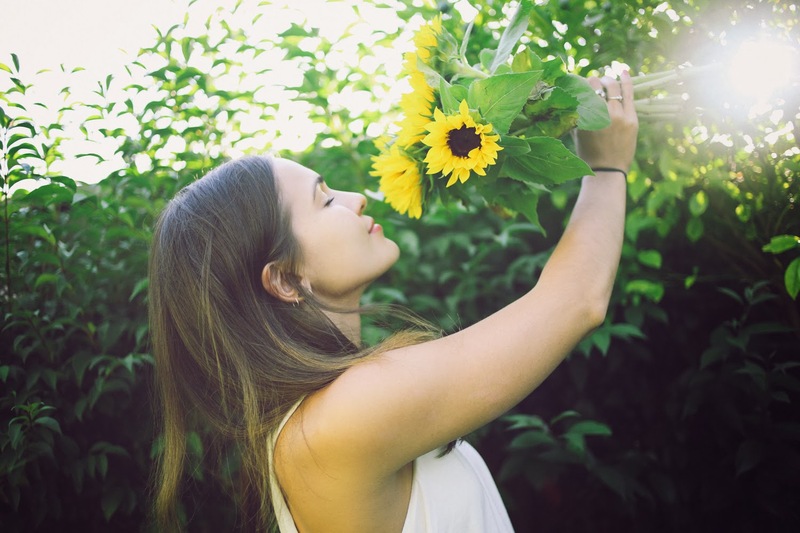 I love sunflowers, and I love this post! You are seriously gorgeous. 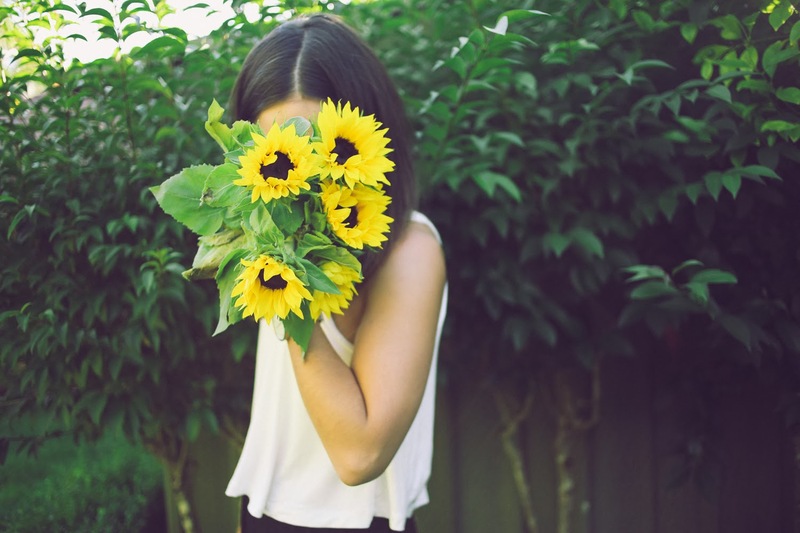 Just found your blog and oh my gosh a post dedicated to pictures of sunflowers?! Be still my heart! Seriously. ;) they were the only flower in my wedding bouquet so they'll always have a special place in my heart. And GORGEOUS pictures!